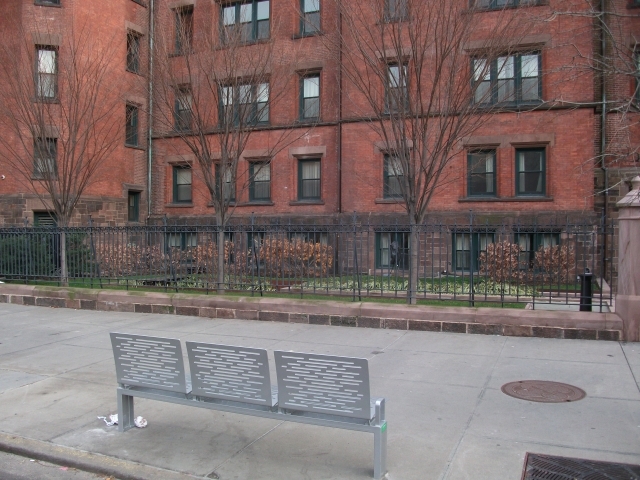 Seniors " care about benches, trees, gardens and open space closest to where they live. 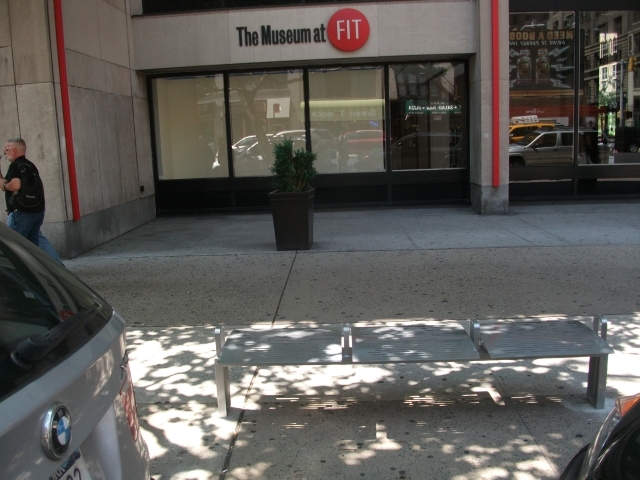 Big parks are for occasional visits in most cases. 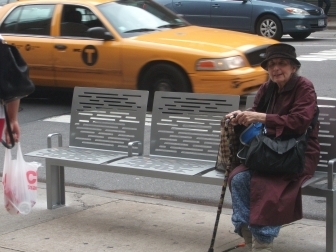 As the people at Age-Friendly NYC found , seniors care most about seating closest to where they live. 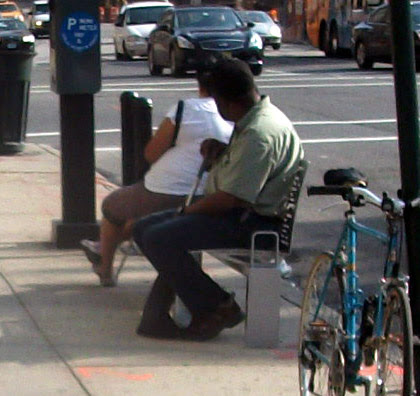 When you have trouble walking seating on the High Line could just as well be located in Pittsburgh, for all the good it will do. 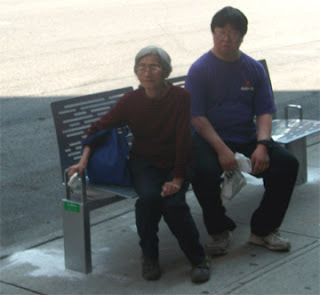 To help alleviate this problem Park Chelsea created its "A Seat Near Every Street" campaign to place "Sidewalk Parks"(aka Citybenches) through out Chelsea in locations where seniors would actually have use of them. 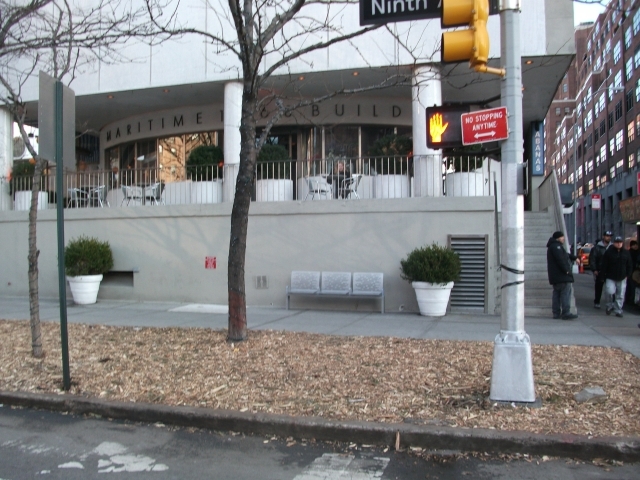 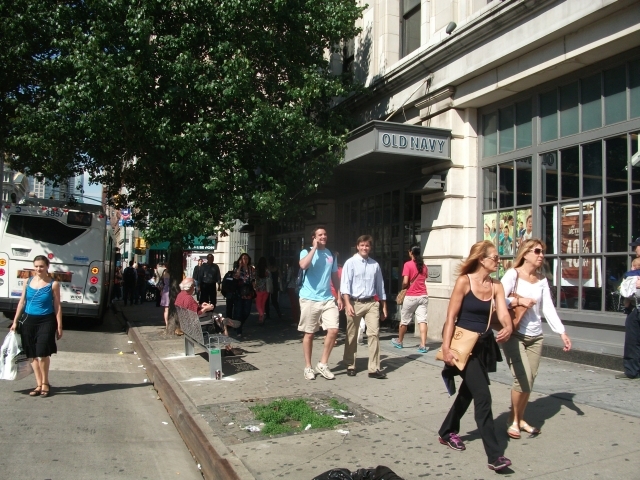 In late December 2012 nine Sidewalk Parks were installed in Chelsea. 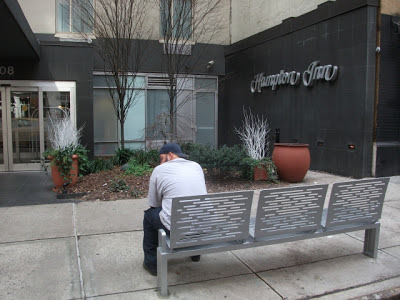 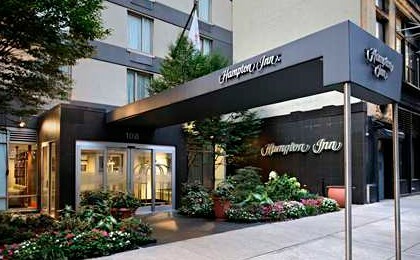 A Chelsea spot with a great garden is the Hampton Inn.The location had no seating to enable guests or neighbors to sit and enjoy the garden. A Citybench has now been installed allowing passerby to sit and really enjoy the spot rather then just having to walk by it. 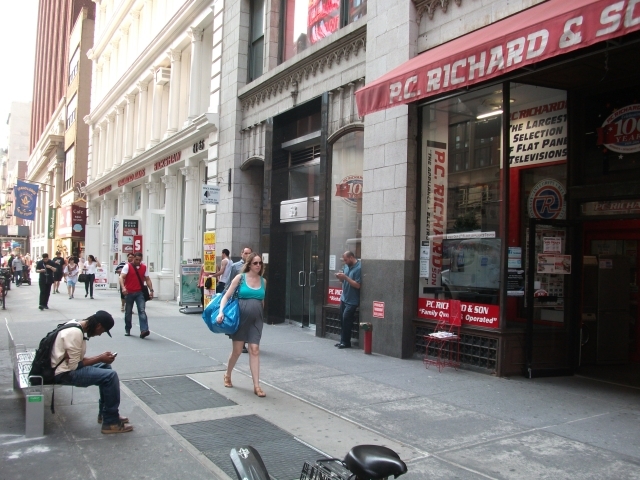 The Limelight was a Church transformed into Discotheque transformed into shopping mall. 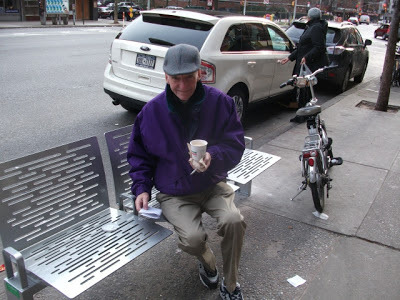 The Limelight Sidewalk Park has a great view of the Limeliight, And is a convenient rest stop for seniors shopping at the Trader Joes across the street. 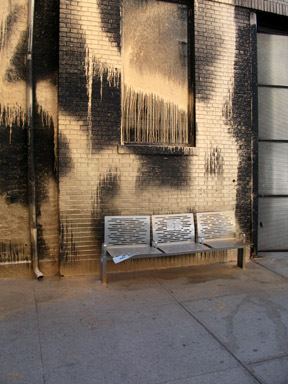 Eyebeam is where "art Meets Technology" . The Eyebench Sidewalk Park has recently been moved, from the curb to against the building, and Eyebeam has recently been painted gold. 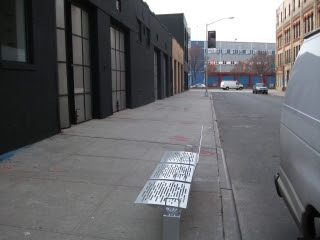 It's interesting that the artists who painted Eyebeam included the Eyebench Sidewalk Park in their work. 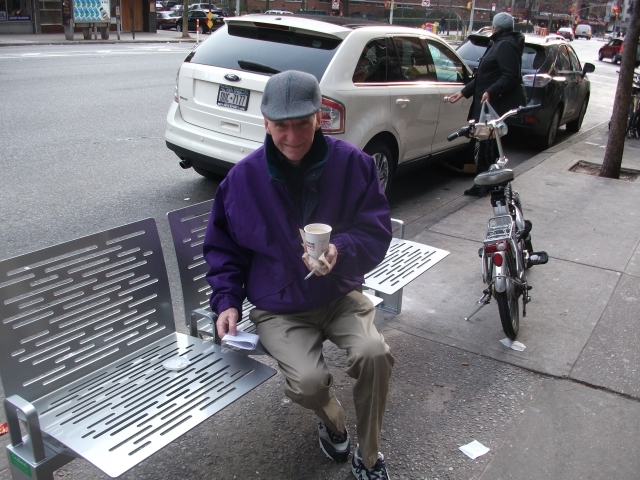 Seen here is Merle Levine who suggested that there should be a bench in front of the Fulton center at 119 9th Ave. 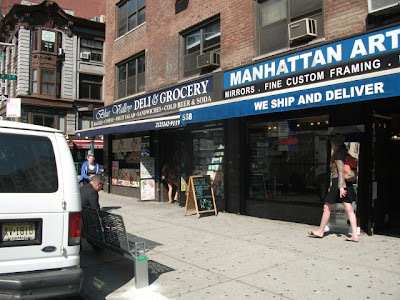 This location is the where Chelsea's first Citybench was installed. 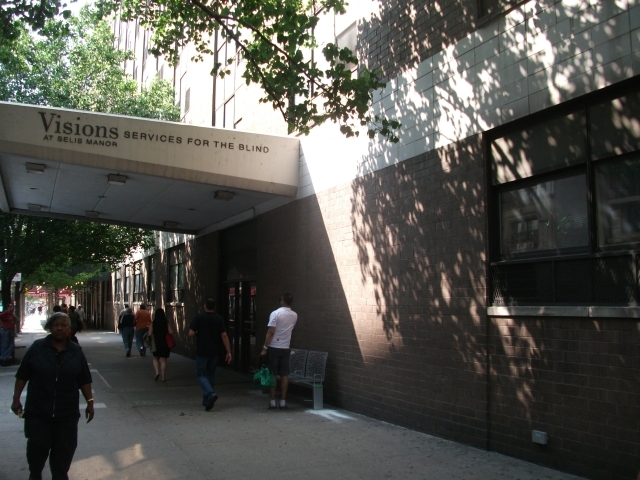 For the Fulton centers Monthly Calender of Events click here. Rita Lopez one of the founders of Park Chelsea chose this spot for a Sidewalk Park so that her friend Speros could sit while he waited for the 9th Ave bus to take him home. 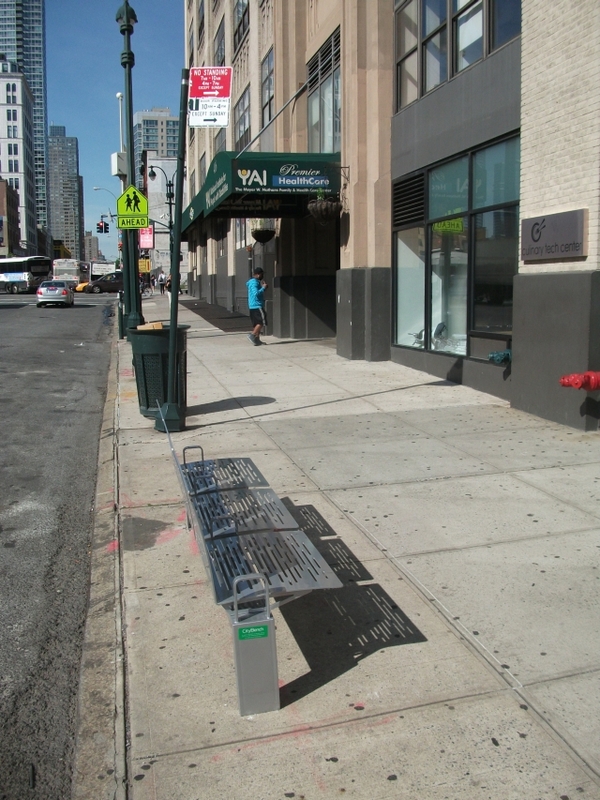 Now this bench is not only used while waiting for the bus, it , along with the Fulton Center Sidewalk Park, are helping to create a 9th Avenue Seniors Walking/Shopping Trail allowing seniors to rest while on their way to the Fulton Senior Center or while going to shop at Western Beef/NSA Supermarkets. 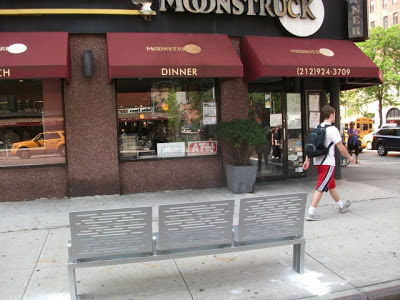 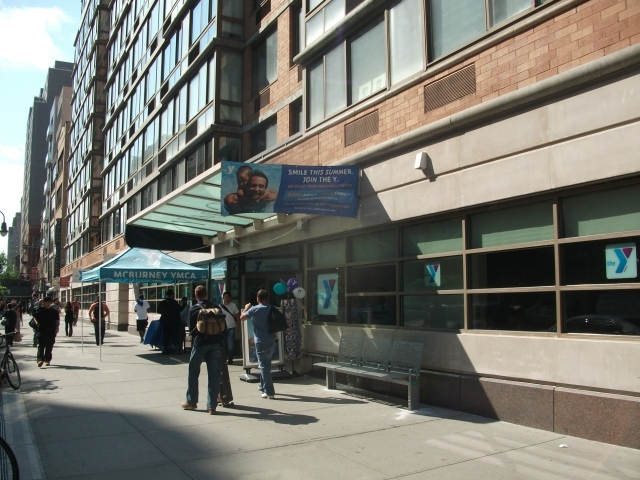 The Moonstruck Sidewalk Park at 9th Ave and 23rd streets is at an important seating location for Chelsea seniors traveling to the Fulton Senior center. 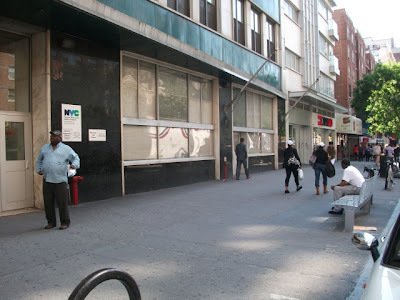 Merle Levine who goes to the center regularly told us that while waiting for the 9th Ave bus to go to the center, there was no place for seniors to sit at this bus stop. As I walked past the new Moonstruck Sidewalk Park, I noticed an older woman walking in the opposite direction. I thought "here's a person that can use this bench" Sure enough she and her companion had a seat there. 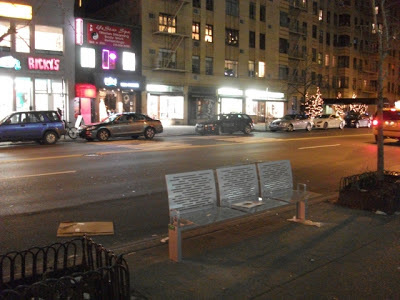 Coming Soon: Sidewalk Park to "Far North Chelsea"
Here is the list of proposed bench locations that will be recommended at the next CB4 Transportation Committee ( Dec 19th) You will note that there are no proposed bench on 9th Avenue or on side streets where the sidewalks are too narrow. 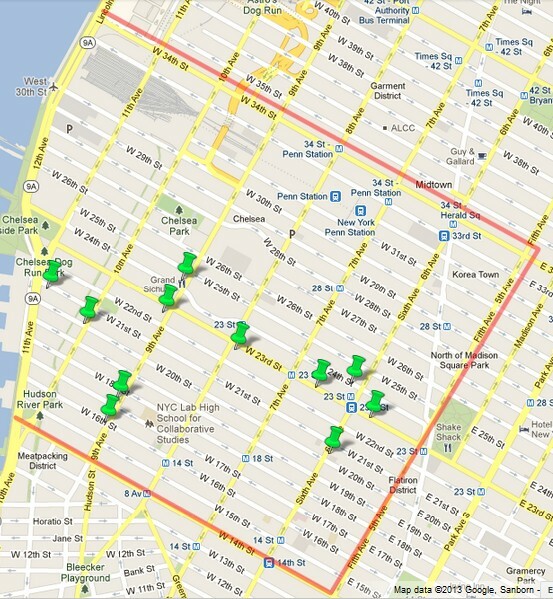 Let us know if you have other suggestions or concerns with the proposed locations. 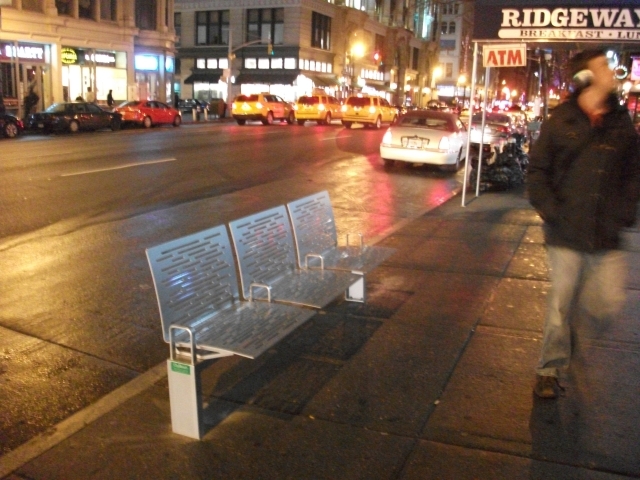 NYC is installing over 1000 Sidewalk Parks(aka Citybenches) through the city. If you know of a good location for a bench you can request one here.